Scotland Yard's new chief inspector Nicholas Drummond is on the first flight to New York when he learns his colleague, Elaine York, the minder of the Crown Jewels for the Jewel of the Lion exhibit at the Metropolitan Museum of Art, was found murdered. Then the centerpiece of the exhibit, the infamous Koh-i-Noor Diamond, is stolen from the Queen Mother's crown. Drummond, American-born but raised in the UK, is a dark, dangerous, fast-rising star in the Yard who never backs down. And this case is no exception. Special Agents Lacey Sherlock and Dillon Savich from Coulter's bestselling FBI series don t hesitate to help Drummond find the cunning international thief known as the Fox. Nonstop action and high stakes intensify as the chase gets deadly. The Fox will stop at nothing to deliver the Koh-i-Noor to the man who believes in its deadly prophecy. Nicholas Drummond, along with his partner, FBI Special Agent Mike Caine, lay it on the line to retrieve the diamond for Queen and country. 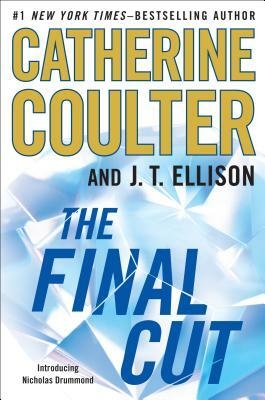 Catherine Coulter is the author of the"New York Times" bestselling FBI thrillers"The Cove, The Maze, The Target, The Edge, Riptide, Hemlock Bay, Eleventh Hour, Blindside, Blowout, Point Blank, Double Take, TailSpin, KnockOut, Whiplash, Split Second, Backfire"and"Bombshell. "She lives in Sausalito, CA. J.T. Ellisonis the bestselling author of nine critically acclaimed novels, including"Edge of Black"and "A Deeper Darkness," and her work has been published in over twenty countries. Her novel "The Cold Room" won the ITW Thriller Award for Best Paperback Original and "Where All The Dead Lie" was a RITA(r) Nominee for Best Romantic Suspense. She lives in Nashville with her husband."